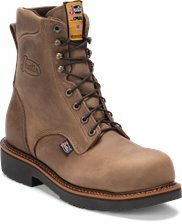 It can be all work and play in the Switch 11-inch tall men's work boot. Its light reddish tan upper is embellished by a green, yellow, and cream stitch pattern and is paired with a stonewashed golden brown square toe foot. 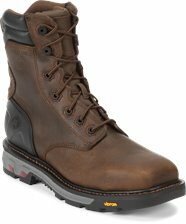 Though this boot has a rustic feel, it has modern features that contribute to its comfort and functionality such as the J-Flex Flexible Comfort System® insole that adds cushion and support and the Stampede™ rubber and EVA combination outsole with resistance to abrasion, chips, slipping, and marking which allows you to comfortably work on any surface. 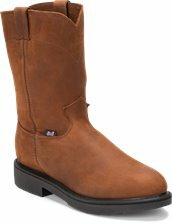 I love this boot style and the comfort of the J support. The look of the boot is second to none. I've gotten a few compliments.My problem when i say they are no longer wearable is the boot itself does not keep its for or shape to your feet. The boot started out snug and ive worn them 4 days to work. I literally sit at the parts window and walk around the shop. Within 4 days the boot has loosened to the point my heel will raise about 2 inches out of the boot and i can kick the boot off my foot without effort. I cannot wear boots that dont stick to my feet in anyway. 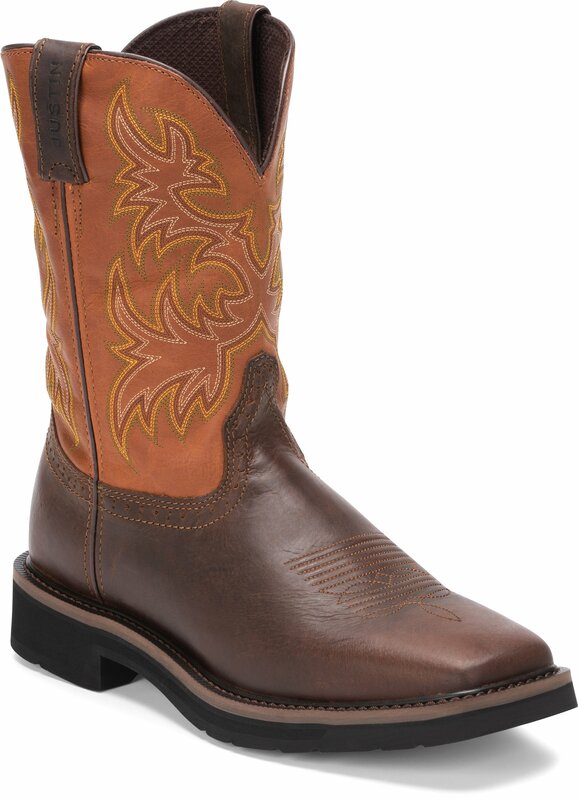 I even bought them smaller then normal based on other reviews and it didnt work.I now have resorted back to wearing my wolverines until i can figure out how to keep them on my feet.Sorry Justin, I love the boots but this pair did not do so well for me.